Kids and fans alike can imagine the biggest battles and missions in the Star Wars saga with figures from Star Wars The Black Series! With exquisite features and decoration, this series embodies the quality and realism that Star Wars devotees love. As the Empire reinforces its hold on worlds across the galaxy, local defense forces are being supplemented - and eventually completely replaced - with Imperial Stormtroopers. 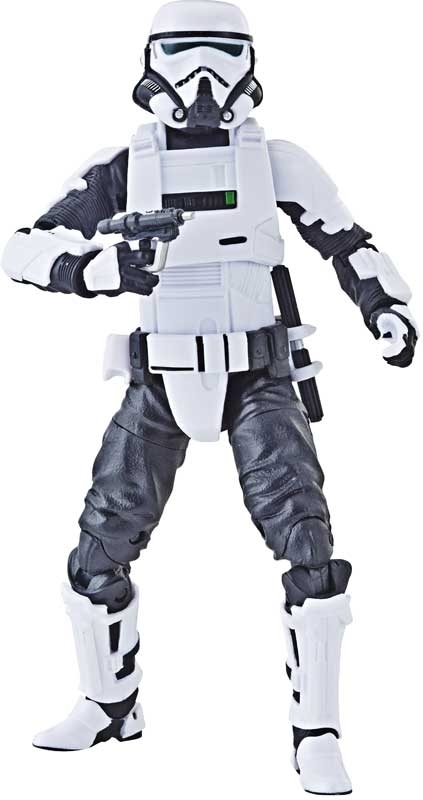 To cover distances across sprawling settlements and cities, Patrol Stormtroopers police the streets and alleys aboard swift interceptor speeder bikes. 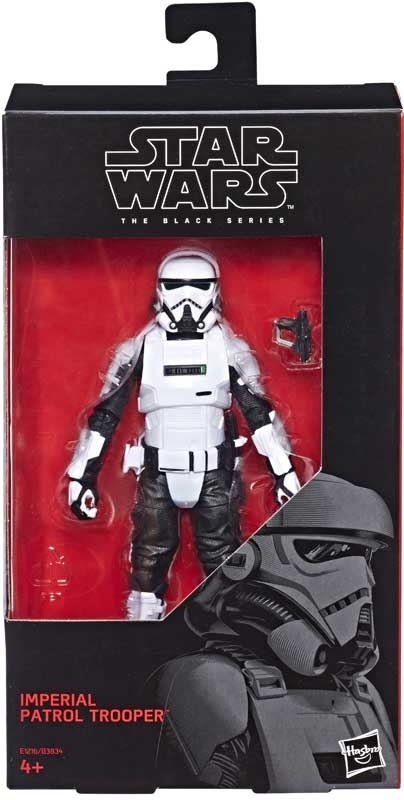 This 6-inch-scale Imperial Patrol Trooper figure is carefully detailed to look like the character from Solo: A Star Wars Story and features premium detail and multiple points of articulation.